Billy Gilbert, Stuart Massey, Mark Dennis and Steve Galloway - where are they now then? Don't worry, you can find out here. Stuart Massey, remember him? The midfielder was signed by Steve Coppell from Sutton United before the launch of the Premiership in 1992. Despite only making a few appearances in the red and blue stripes, he was just delighted to have been given the chance to play for the club he supported as a boy. He told the Holmesdale Online: "I enjoyed my time down there. Looking back we had some big names - but you didn't really appreciate it much at the time. "Obviously my chances were limited but I enjoyed it as they were the team I supported as a boy. My dad used to take me down to Selhurst back in the old Third Division days, so it was a great honour for me to play for the club. "I remember watching the quarter-final when we played Liverpool the year before and I got tickets for my birthday. I was 25 then and didn't think my opportunity to play for Palace would come along, so it was great." In his first season at Palace, he suffered the disappointment of relegation from the Premiership under Coppell but was part of Alan Smith's championship-winning squad the season after. He said: "To be honest, with the squad Coppell had there, we should never have got relegated. It was a good squad and they all went on to get good moves. I think Stan Collymore would have done well had he been given a chance." Massey was forced to retire while he was with Oxford after damaging the cruciate ligaments in his knee. He had been talking to Mickey Adams about a move to Brentford at the time. He got a small insurance pay-out through the PFA and 18 months later, joined Whyteleafe, then back Sutton via Carshalton and Walton & Hersham. When not making kitchens, Massey is player-manager of Chipstead, who are riding high in the Combined Counties League along with AFC Wimbledon. He added: "I had a good time at Oxford - a few players went onto bigger things there too. So all in all, the five years I had as a professional footballer was pretty successful. "Being at Palace and not getting my league career going wasn't great but I really enjoyed my time there and have no regrets. And the way I see it, it led me to somewhere else. "I kept my head down and appreciated it as it was better than being a working man and enjoyed it all thoroughly." Steve Coppell brought former Birmingham City, Southampton and Queens Park Rangers left-back Dennis to Selhurst Park in 1989 to resurrect his career. But injury restricted the badboy to just 10 matches and he retired from football. The Palace/Millwall fan went out to Spain for a couple of years before joining the Royal Mail in Southampton. He's also director of football at Eastleigh FC and coaches part-time at Southampton inbetween playing golf. With little cash available, Steve Coppell had to scour the non-league market for a striker and signed Galloway from Sutton United in October 1984. But despite scoring regularly in the reserves, Galloway found it hard to break into the first-team as Andy Gray and Ian Wright were ahead of him in the pecking order. He only made six appearances for the Eagles, scoring once, before heading off to Cambridge United in April 1986. Lewisham-born Gilbert rose up through the youth ranks at Selhurst Park and went on to make 273 appearances, scoring four times, from his position in defence. One of the greatest Palace players of all-time, his career highlight was winning promotion to the First Division with victory over Burnley in 1979. His most memorable moment was scoring his first goal for Palace - a 30-yarder v West Ham and best goal was a header from the edge of the box in an FA Cup match at home to Leicester. He moved to Portsmouth in 1984 on a free transfer after his contract expired and later played for Colchester United. Gilbert managed Waterlooville from 1990-91, while working as a painter and decorator, and is now into property developing. 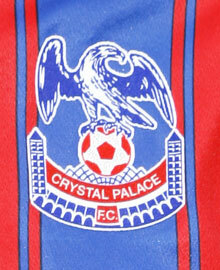 If you know the whereabouts of any former players, or can provide us with updated information, then let us know by emailing editor@holmesdale.net and we'll add it to the rest.